Arturo Fuente Gran Reserva cigars for sale. Gran Reserva is the Fuente family's flagship offering, being rolled in five unique wrapper variations in the DR.
Arturo Fuente Gran Reserva embodies the flagship collection within the world-renowned Arturo Fuente lineup of premium cigars. This is one of the most recognizable cigars in the world, occupying premium real estate within virtually every walk-in humidor across the United States. For this special blend, the Fuente family hand-selects some of their highest quality, vintage tobaccos, harvested from the same fields used to grow the Dominican leaves used throughout the legendary OpusX cigars. These signature leaves are then skillfully bunched and finalized with one of five wrapper selections: African Cameroon, Connecticut Broadleaf, Connecticut Shade, Ecuadorian Sungrown, or Candela. Each wrapper variety provides distinct flavor variations in the overall smoking experience, with Candela being the most mild, followed by Connecticut Shade, then African Cameroon being medium, and Connecticut Broadleaf (maduro) and Ecuadorian Sungrown moving into medium-plus to full territory. 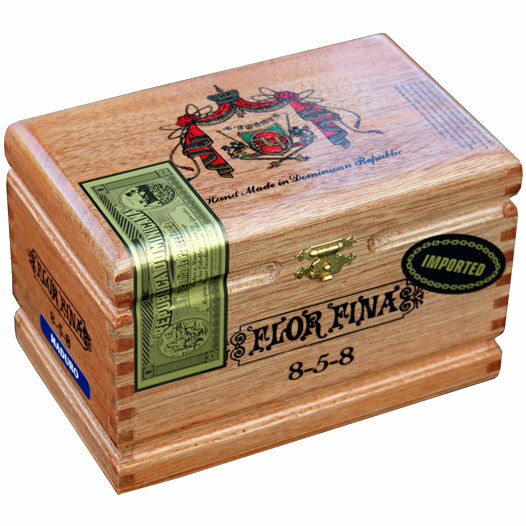 As a final touch, each cigar is then aged in the Fuente's specially crafted Spanish cedar vaults, marrying the tobaccos with the beneficial aromas and oils of the wood, elevating the cigars to a level rarely achieved in the Gran Reserva's modest price range.